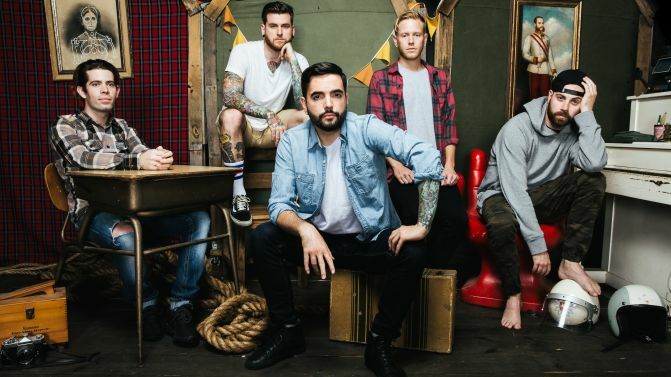 Just as things seemed to be reaching a climax with A Day To Remember’s forthcoming album Bad Vibrations, the band have decided to slow their row, pushing the album’s release date back by two weeks to Friday, 2nd September. Everything seemed to be going strong for Bad Vibrations‘s previously announced release date of Friday, 19th August, but that date is no longer a day we need to remember. No reasoning was given for the change in dates, which won’t have any affect on pre-orders, however it’s probably a good business move to put as much space between your album and The Amity Affliction’s new album, which is set for release the week before the 19th. Just as a life rule, really. So far off Bad Vibrations we’ve heard three songs: title track Bad Vibrations; Paranoia (below) and the very recent Bullfight. New release date aside, we’re still keen to cop a live serving of Bad Vibrations while it’s still hot from the printers. A Day To Remember are heading Down Under in December, Bad Vibrations in hand, for a run of dates with Of Mice & Men.